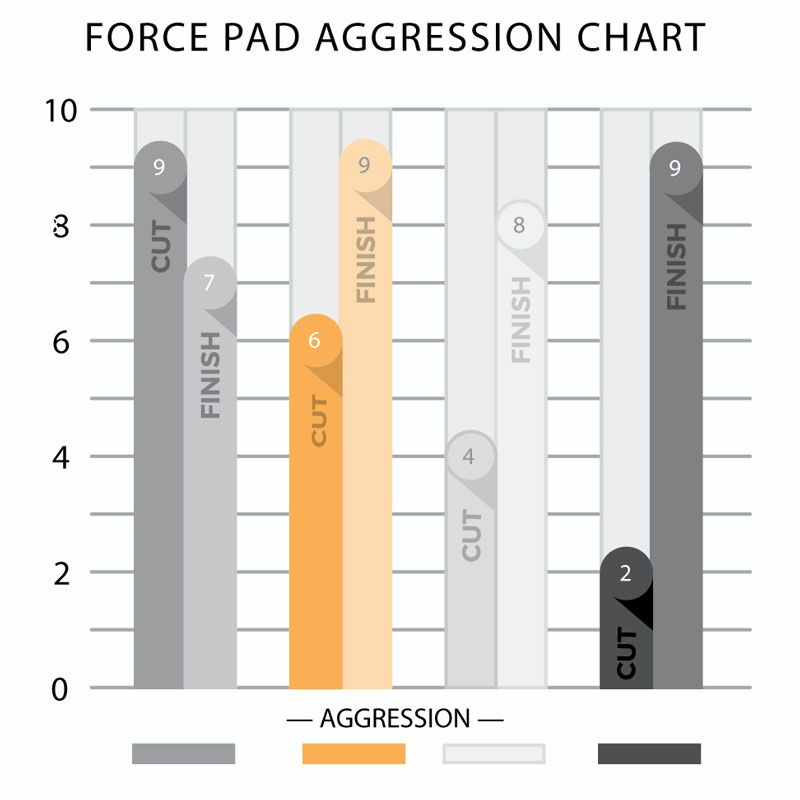 Lake Country FORCE 6.5” Hybrid Foam Pads are made of an advanced technology HYBRID foam with a small foam cell structure and dense construction for highly effective performance when used on DA polishers as well as forced rotation polishers. This advancement in technology offers a much faster correction time with less of a polish absorption rate. The Lake Country FORCE Hybrid Foam Pads with tapered edges prevents the pad from rolling and provides excellent pad rotation. 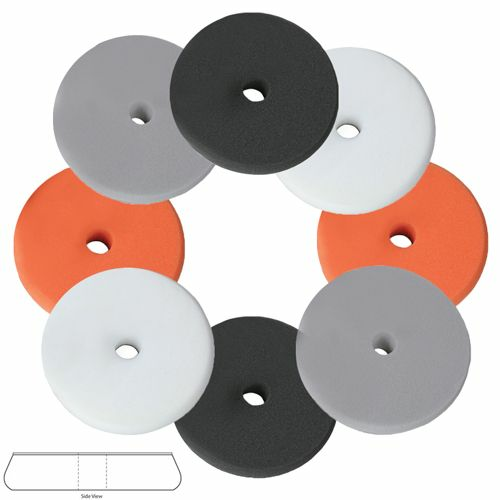 Lake Country FORCE 6.5” Hybrid Foam Pads center hole is a cooling channel to disperse heat away from the center of pad, reducing temperatures and increasing durability. 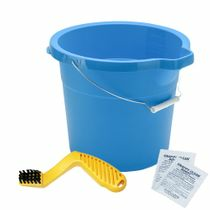 During use clean your Lake Country Force Hybrid Foam Pads often with a pad cleaning and conditioning brush to remove buildup of polish. After polishing wash Lake Country Force Hybrid Foam Pads immediately in warm water with Snappy Clean Boost Pad Cleaning Powder and a mild soap by hand or with a pad washer. Allow your Lake Country Force Hybrid Foam Pads to air dry or dry on low without the use of fabric softener.